FASHIONCLASH started an inspiring collaboration with SO Management, the organisation behind Runway Malta. On the 10th of March, the FASHIONCLASH team flew to Malta for the second time. This time with a special purpose, to choose a winner from five finalists of the FASHIONCLASH Designer Competition. Runway Malta 2011 was the first full day international fashion event of its kind on the island. Set across the beautiful Montekristo Estates, the event took place on the 4th of September incorporating fashion, music, exhibitions and installations from local and international designers and artists. Nawie Kuiper and Branko Popovic, were invited to show their collections during the first edition of Runway Malta. Scheduled for the event were fashion shows from labels from Malta such as Kaii Couture, Fat Gold and Charles & Ron and international designers Gori de Palma from Spain, Hasan Hejazi. This collaboration is supported by Maastricht and Euregio Meuse-Rhine VIA2018. 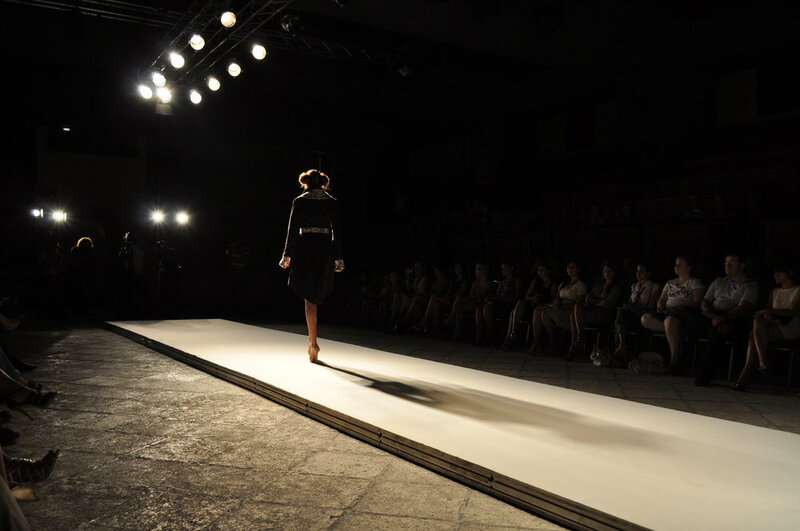 In September 2011 FASHIONCLASH went to Malta for the first edition of Runway Malta. Nawie Kuiper and Branko Popovic were invited to show their collections but they had also a wonderful shoot with Kris Micallef. It took a while but here is the stunning Nawie Kuiper - Kris Micallef shoot. Saturday 10th of March the second edition of Runway Malta took place. FASHIONCLASH had the pleaseure to visit this lovely country again and choose 1 more designer that will complete our fashion show program. Thanks to support of V.18 (Valletta 2018) and Maastricht and Euregio Meuse-Rhine VIA2018, we have launched the 'FASHIONCLASH New Designer Competition'. Runway Malta, hand in hand with Valletta 2018, have put together a New Designer´s Competition to entice young designers. Valletta 2018 is a project to enrich Malta´s cultural activities and enhance the many areas of art within the Maltese community. Becoming a candidate for the European Capital of Culture for 2018 has opened the door to Valletta´s cultural hub and has allowed for artistic relationships to be built between Malta and other European cities. Because of this, V18 and Runway Malta came up with a fantastic way to team up with another candidate city – Maastricht, the Netherlands – (Maastricht VIA2018) to give a Maltese designer an opportunity to show at the inaugural FASHIONCLASH Maastricht Festival held yearly in June. Applications were open to all new designers in Malta to come up with three outfits using any material they like. From all of the applications received, the judges then picked five finalists to show on the catwalk at Runway Malta. Only one winner will be chosen and they will go on an all-expense paid trip to show their full collection at FASHIONCLASH Maastricht in June 2012. Geneva Corlett won the competition and will present her work at FASHIONCLASH Maastricht 2012. ’’FASHIONCLASH has been going to Malta for three years now. We have always incorporated fashion, art and textile design into our shows and opened it up to artists from all around the world. We have never had an application from a Maltese designer before and we can´t wait to see what kind of young talented treasure we will find through this initiative’’ Says one of the three FASHIONCLASH Maastricht organisers, Nawie Kuiper. This project, alongside many others, is very important to the Valletta 2018 organisation. By partnering up, art, culture, location and the projects are sure to put Malta at the forefront of cultural awareness in Europe, therefore making both Valletta and Malta great candidates for the European Capital of Culture in 2018! ’’The Valletta 2018 Foundation is very happy to be collaborating on this fashion program which enables an exciting exchange of ideas to take place between Malta and the Netherlands, both of which are hosting the candidate cities for the title of European Capital of Culture in 2018. We look forward to this being a success and establishing this type of shared project over the long term to make of it a sustainable means of collaboration’’ Says Karsten Xuereb of V18.